Football can be a thoroughly intriguing game, and not just because of the game on the pitch. The history between the clubs, the vying for position in the league, the personnel, the rumours circulating in the pubs and internet boards, watching the latest ‘wunderkind’, the opposition fans, all of these can make for a more absorbing contest than the twenty-two players kicking a bag of air around. And this game had all of that. The return of MoPo to St Mary’s in charge of those North London yobboes. Their fans trying to sound as butch as possible. Would we be able to stifle the threat of Kane? Would Mauricio take the opportunity to tap up any of our leading lights? As for the match itself, it was a cracker once it got going, Saints should have won but it would be over-critical to berate the defence after what they have achieved this season. Whichever way you look at it, it has been a good season for Saints notwithstanding a few slips in a handful of games. With four games left to play we’re on course for our best ever finish (we already have our best PL points haul) and confirming our well-deserved reputation as a top eight team. After a disruptive close season last summer Ronald Koeman deserves all the praise that he gets - including that from a section of the fanbase who nominated Saturday as ‘Ronald Koeman Day’. The match started and almost immediately Graziano, fast out of the traps, is caught offside. The first quarter of an hour saw both teams trying to impose their will, a corner was awarded to each team but that period was mainly a series of fouls and free kicks. It took until twenty five minutes or so for JWP to try a shot, then Morgan had a bash too (from a JWP cross! Tsk to all you unbelievers.). Mané was now causing problems for Spurs every time he had the ball. If he could manage to stay on his feet he would be phenomenal, but it seems easy to knock him off balance. Does he dive? From what I could see, it looked like the referee believes so. Mané rarely got a free kick despite tumbling over a dozen times or more. Spurs defence were finding it difficult to cope. Mason with a poor back pass, followed by Davies being shrugged aside, let in Graziano who latched on to a Mané pass and scored, 1-0 Saints on 28 minutes. Vertonghen showed his displeasure by fouling Graziano a minute later and was the first one into the ref’s book. Just a few minutes later Ben Davies followed him. Saints were dominant. But Spurs refused to cave in and an end to end game ensued. We knew what to expect from a Pochettino side - and we got it. Both teams pressing hard and counter-attacking in turn. Unfortunately, unseen by any of the officials during one of the Spurs attacks, Lamela managed to knock the ball into the Saints goal with his arm. Two minutes to half time, 1-1 . Saints were doing a better job on restricting Kane than Spurs were in trying to contain Mané. Not that Kane stopped playing - I doubt that he knows how to - he was digging out all around the penalty area from where he was less of a threat. The second half carried on where the first had left off. The sort of game where you can’t take your eyes off the pitch for a minute. If only ‘Interesting’ Davis had concentrated as hard - twice he tried shots only to miss when it, surely, would have been easier to score! I bet those misses came back to haunt him in his sleep that night. With half an hour left Shane Long came on for JWP and in the sixty-fifth minute it was his cross that was so ably met by Graziano’s forehead! Who said he had forgotten how to score? 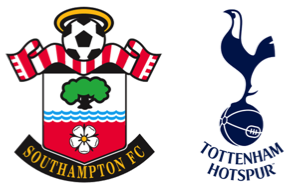 Back and forth went the ball, breathless stuff; Steven Davis booked, more offsides, more fouls until, Oh no!, Chadli manages to slide the ball into the corner of Kelvin’s goal. There followed a long delay while Ben Davies was treated for an injury. He was stretchered off and Chiriches came on. We subbed Davis by Elia, they brought on Dembélé for Chadli, then Soldado for Bentaleb . Then it was our turn for an injury. Morgan slipped and was down and in some discomfort. He was replaced by Harry Reed. Seven minutes of extra/injury time (due to overwatering the pitch at half time?). Attempts on goal by Toby and José and yet another booking for Spurs (Fazio) but neither side could get a winning goal. 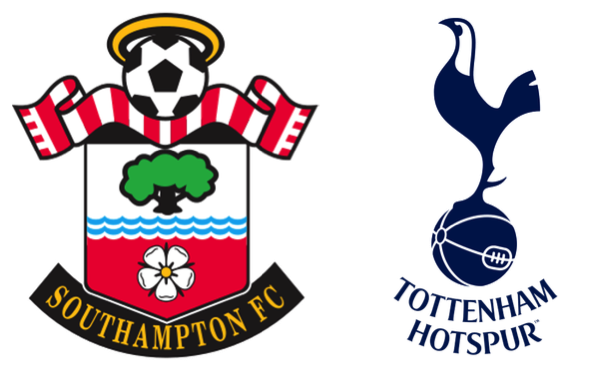 Spurs were fortunate that they managed a draw, but Southampton could be proud of the manner in which they played. A good game to watch, I’m sure that BT were happy. Me, less so.